Buy 2 or More and Save 10%! If babies had the fine motor-skills, we're sure they'd be snapping selfies all day long. These 100% cotton snapsuits are social-medai-ready. 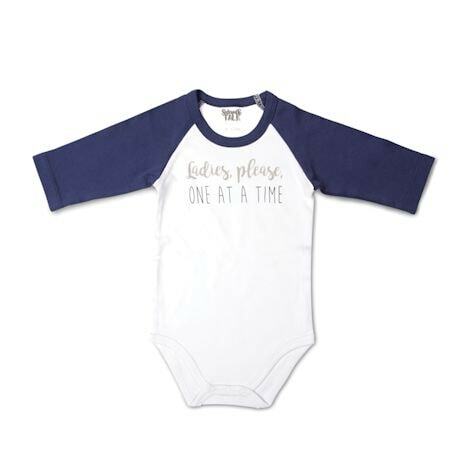 Fun sayings are printed on 3/4 sleeve suits with 3-snap enclosures. 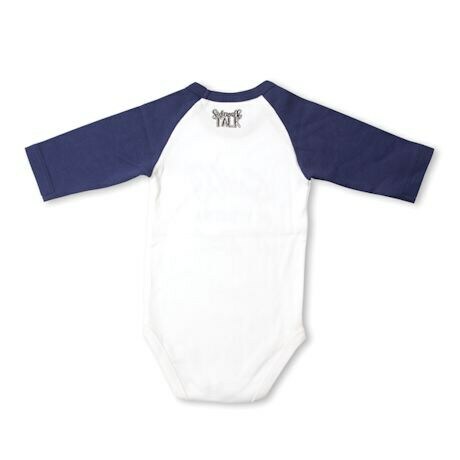 Sizes 6-12, or 12-24 mos. Imported.